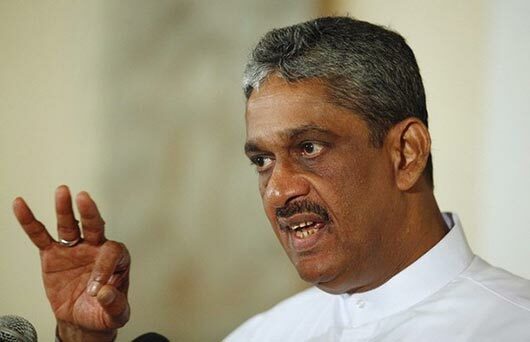 Minister of Sustainable Development, Wildlife and Regional Development Field Marshall Sarath Fonseka says that he will not support a common candidate at an upcoming Presidential Election. He mentioned this to the media following a program held in Kelaniya area. When inquired whether he would support ex-Cricketer Kumar Sangakkara should contest as a common candidate, Minister said that although Sangakkara is good as cricket player, he does not have political experience. Minister says that, a person as such will find it difficult to engage in politics and that, even he had to study politics for a long time. UNP should any how work towards making a UNP leader victorious and if not a person with a ‘political-fever’ should be brought forward for the leadership of the party, he pointed out. Sri Lanka has a corrupted political culture and he will not support a common candidate as a principle, Fonseka further said.